As an industry leader and one of the fastest growing security service providers in Houston and surrounding areas, Astro Security & Investigations has the resources and staffing many other companies simply cannot match. In the world we live in today having a strong, visible and professional security presence is no longer an option it is becoming a requirement. With our fleet of fully marked police package patrol vehicles and our professionally trained and unformed officers Astro Security & Investigations stands ready to fulfill all security requirements. Astro Security & Investigations offers many levels of service and can customize a plan for budget conscious property managers. Our team is the best and your team deserves the best. 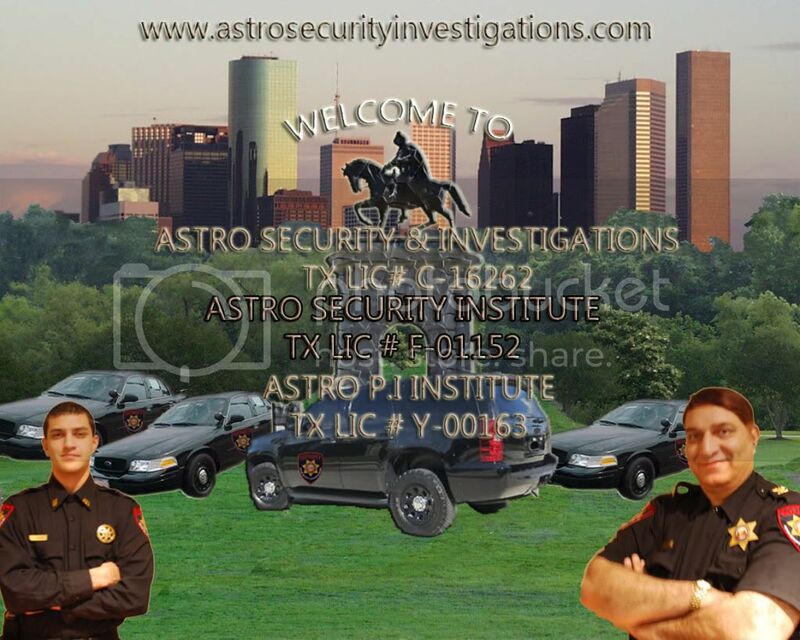 Astro Security & Investigations stands ready to assist you with any security need or issue you may have. Please contact our office to schedule a service assessment and give us the opportunity to serve you. Astro Security & Investigations is dedicated to staying competitive by offering our employees an exceptional compensation package. In an ongoing effort to remain an industry leader Astro Security & Investigations is devoted to supplying our employees with state of the art equipment and training. We take these steps to ensure our clients receive the very best service possible while allowing them multiple service options to best fit their budget. Astro Security & Investigations is managed by some of the most experienced individuals in the security industry today. Our command staff is made up of a diverse group of leaders from all walks of life. Our management and command staff stay abreast of industry trends this attention to detail allows ASI to be an industry front runner by supplying it’s officers with the very best in training, equipment and procedures. At ASTRO, providing our clients with the very best in service is our primary goal. Astro Security & Investigations Supervisor’s and management perform site inspections at regular intervals as well as on a random basis. These inspections are performed in an effort to provide property management with a continually updating security assessment and to ensure ASTRO personnel have the tools and information required to meet or exceed property management expectations.